It can sometimes be stressful to find a company that is dependable and reliable when offering fence and gate services. Calling our driveway Gate Company in Puyallup will take the stress away. Our company will take care of all your gate/fence needs right from repairing gates to customizing gates. Not just that our company in Puyallup also supplies and installs all types of gate openers/motors.Our company does not stop there with its services. We also provide you installation and repairs of wrought iron gates, security bars, window bars and wood gates. The company is available 24/7 for emergency repair service to repair broken hinges/ posts/ damaged gates. This is true because we don't make compromises, care about the needs of our customers, have absolute knowledge of the latest systems, offer same day emergency electric gate service, and wish to see our clients satisfied and safe. We make improvements as years go by. This is vital because the new residential gate openers develop quickly. These days most gates have intercom systems and thanks to premier knowledge and expertise are installed and serviced perfectly by our first-rate crew. 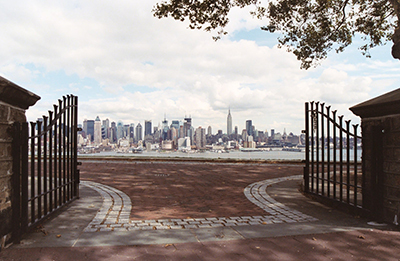 Everyone can trust us for dedicated and admirable gate services. From new gate installation and parts replacement to swing gate adjustment and sliding gate wheels change, we are the best team. Rely on us for meticulous maintenance, swift emergency repairs, and installing new products properly. Our driveway gate openers company in Puyallup supplies installs and repairs driveway gate openers. An opener will make life easier for you. There will no more having to get out of your vehicle to open or close the gate. Also with only you and people of your choice having the code it will stop unwanted visitors from coming in your gate. Some of the openers that we have are RAMSET, EAGLE, ALL O MATIC, LINEAR, and RENO etc to name a few. We also offer several others add on services to our gate openers like troubleshooting problems, remote gate openers, photo eye, safety loops and sensors as well. If you want a detailed description as to what all are the services that our driveway gate services in Puyallup offers then here it goes: we repair gates (pedestrian, driveway, walk through), wemanufacture wrought iron grills for all your needs, manufacture wooden doors , we supply and install all the gate openers and even remove and replace them. Our driveway gate openers company in Puyallup also does a lot of iron work. Some of the things we can manufacture in iron are Pipe corals, retaining walls, fences, railings, doors/gates, window guards, security doors, dog runs, and cages. We can also customize fences for you includingpool fences, garden enclosures and all. Call us today and let us come out and install a driveway gate opener for you. You will be happy that you did. You will not only feel more protected you will also have less stress in your life. Choose one of our top brands of openers that we have mentioned above. If you already have an opener and it is giving you problems our contractors can come out and repair it for you also. 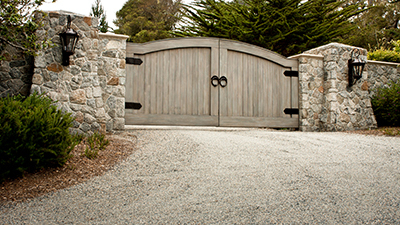 We the driveway gate services are just a call away whenever you need us at any time of the day. We are the most trusted driveway gate openers company in Puyallup who you will find to me reliable and dependable. When you call us and have us come out to your home, we will talk to you about what you want done, tell you what we can do and give you a free estimate. As soon as you tell us that you want the services down by us we will start. And soon you will have a driveway gate opener ready to use.